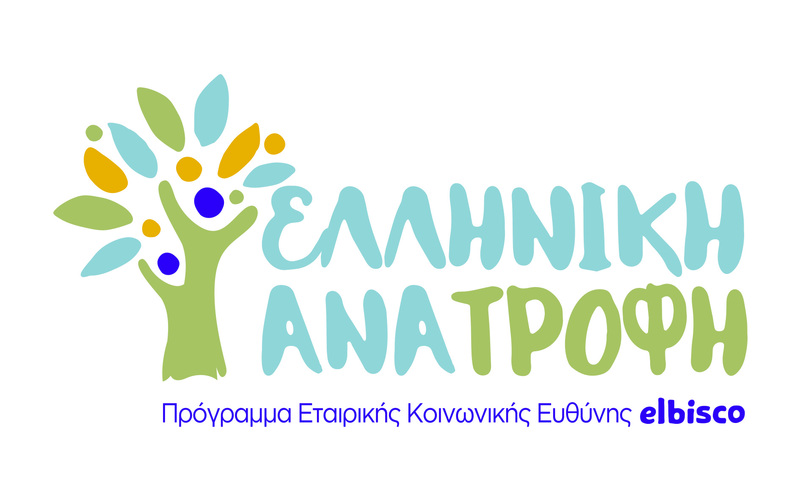 Elbisco presents its new, integrated Corporate Social Responsibility programme under the title “Elliniki Anatrofi” (Greek Nurture). The programme’s purpose is to promote and foster respect for man and food, respectively. Elbisco CSR programme is totally consistent with the extroversion company vision. Based on this vision, the company aspires “to inspire Greece through our success in the global market, guided by Greek universal values – Ethos, Metron, Paedia”. As part of the “Elliniki Anatrofi” programme, targeted actions will be implemented, which aim to inspire throughout society —mainly via education— the sense of respect. Cooperation with the Foundation of the Hellenic World, for planning and implementing an experiential children’s education programme, with the aim of fostering respect for food and, by extension, man. The programme titled “Nothing to waste! Learn, love and respect food!” was designed by the Museum Education Department of the Hellenic Cosmos Cultural Centre and addresses primary school pupils in grades 1 to 4. It seeks to cover a series of educational objectives including, inter alia, understanding that food source and related raw materials are found in nature, comparing different nutritional practices, assessing the benefits of Mediterranean Diet, as well as raising awareness on the excessive food waste occurring nowadays, by presenting positive examples extracted by Greek tradition, where totally integrated food management was conducted. Long-term support to the “Ark of the World” NGO, with emphasis on enhancing educational programmes and supportive teaching courses of the Organisation across all school grades. In particular, Elbisco will be the main supporter of actions such as special education programmes for pre-school age children, scholarships for English language tutoring, support and preparation of pupils taking the National University admission examinations, as well as supply of technological equipment. Through this initiative, Elbisco invests in the education of children fostered at the Ark, so that they can grow up with adequate knowledge, as well as with a sense of respect, primarily for themselves and for those around them. Continuation and enhancement of social solidarity actions, both through Elbisco’s long-lasting collaboration with local bodies in Pikermi and Chalkida, where the company’s plants are located; also through ad hoc initiatives, in collaboration with reputable agencies and organisations to respond to humanitarian needs or other crises. Mr. Nikolaos Voudouris, Elbisco Managing Director, stated: “Elbisco, guided by extroversion and innovation aims at achieving healthy growth. However, its roots and heart remain deeply Greek. We continue to draw our inspiration —in everything we do— from tradition and Greek culture values. This message is clearly conveyed through our new Corporate Social Responsibility programme, which focuses on fostering respect, a concept that —to us— is closely tied to Greeks’ dietary tradition, as well as to the wider cultural heritage of our country”. The philosophy and goals of Elbisco’s new Corporate Social Responsibility programme are visually represented in a specially-designed logo, whose basic components include man (consumers, partners, employees, fellow human beings) and food, in the form of elements, which derive from Greek nature and are used by the company as basic ingredients of its products.